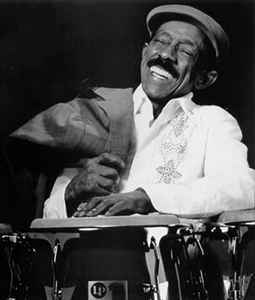 Conga player of Cuban origin (born November 4, 1926, Havana, Cuba - died December 5, 2007, New York City). Considered by some to be the greatest ever Cuban conga player, Patato played with Dizzy Gillespie, Art Blakey, Tito Puente, Machito, Mario Bauzá, Quincy Jones and many other salsa and jazz stars. The first conguero to tune his congas to a song's dominant chord, Patato's influence was felt on the jazz and Latin music scenes and also in the world of film, where he gave Brigitte Bardot a mambo lesson in And God Created Woman.